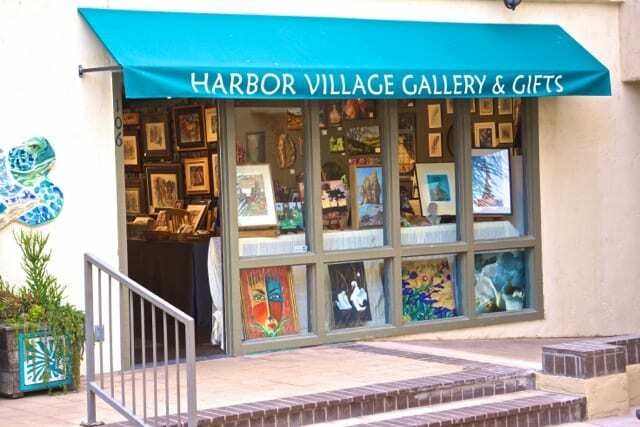 Welcome to Harbor Village Gallery & Gifts, part of the Buenaventura Art Association! 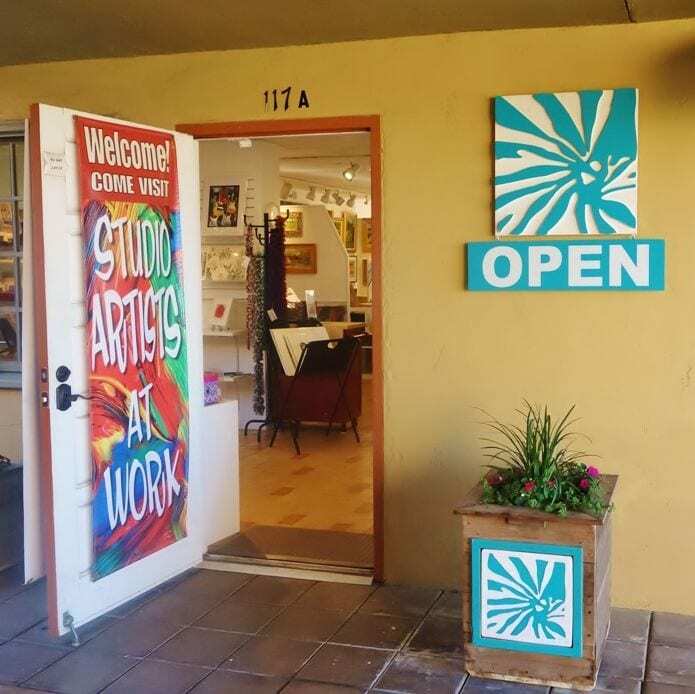 A dozen local artists share this space and their love of art. All pieces are locally made by members. Featured Artists are showcased monthly. Special events include patio art, face painting, children’s activities, and pirate and mermaid specials. 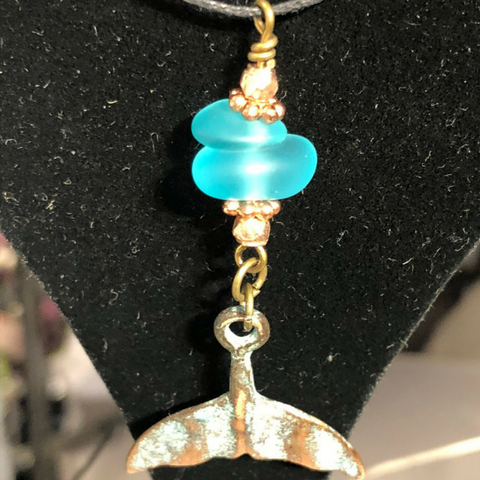 You will discover unique gifts and treasures here, including jewelry, mosaic molded turtles, tie-dyed clothing, quilted potholders, photographs, pet- themed hats and bags, horse art, glass trays and bowls, hanging flower holders, windchimes, and did we say jewelry??? 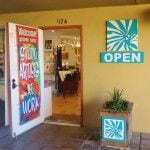 Also gorgeous watercolors, acrylics and oil paintings—both originals and high quality prints—all done by us. Stop by and meet us sometime! Visit our website to find out more about the non-profit Buenaventura Art Association. 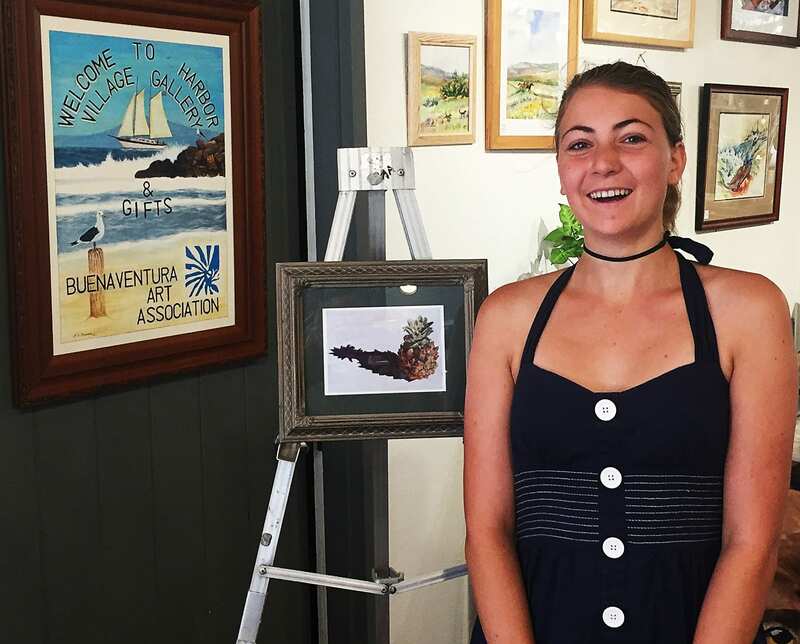 Kyeli in currently a senior at Buena High School and taking art classes there. After graduating this next Spring, she plans to attend art school. Check out her art – only here for a limited time until October 31, 2018, and will have originals prints and cards of her work. New at the Gallery: Customer Rewards Cards! For every $10 spend you get a stamp. Once you fill up a card, you get $10 off next purchase. Never expires!